Offering a wide range of Bread Basket, other Hotel-wares to our valuable client in different specification to meet the diverse requirement of client, which is fabricated in compliance with the international quality standards. The offered range of baskets is manufactured using premium quality raw material and sophisticated technology. With the help of our vast industry experience, we are capable to bring forth a unique collection of tableware. These are developed using high quality raw materials. These are obtainable at the optimum cost to fulfill the demands of hotels, restaurants and fast food centers. RAE-46001 : Made of finest quality stainless steel, this set of cheese/chilly/masala-spice shaker has stainless steel screw-on shaker tops, making it handy to fill. 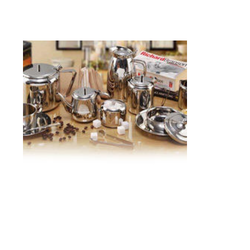 Our offerings include an alluring range of hotel tablewares made of high quality stainless steel along with other materials. 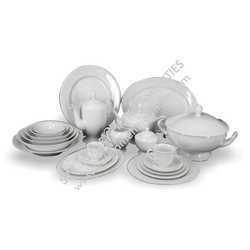 These hotel tablewares enhance beautifies the table and assists in creating a fine dine environment. Enticing designs are embossed on the wide assortment of table ware. Customization widens the clientele horizon. We offer anti skid multi print pet bowl that is manufactured using high quality stainless steel. Easy to clean, these have resistance against abrasion and are also cost effective and hygienic. In addition to this, these are known for their less maintenance and durable nature. These are available in different capacities such as 8, 16, 24, 32, 64, 96 oz.